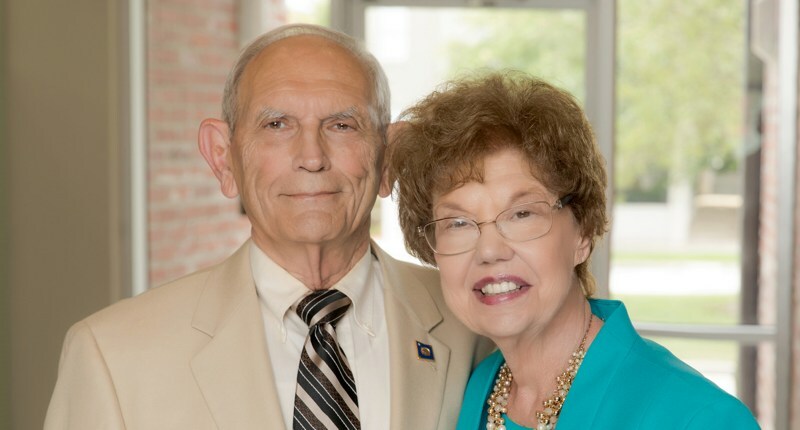 Leonard and Mary Alice Fontenot are the 2018 recipients of the Leaders In Philanthropy Award for Evangeline Parish, an honor presented by Community Foundation of Acadiana (CFA) and Hancock Whitney Bank, and sponsored by Cleco. The couple has served their community all of their lives with time, talent, and generous contributions. They pray that their love for the community encourages others to give of themselves. Mary Alice and Leonard have donated generously in several areas of the community such as Sacred Heart Catholic Church of Ville Platte, Catholic Diocese of Lafayette, Sacred Heart School Foundation, Rotary Foundation, Evangeline Parish Foundation, and Ville Platte Rotary Club. They have both been a source of generosity in the community and have been active in clubs and organizations, have served on numerous boards. They are currently supporting members of two theater groups and the Community Foundation of Central Louisiana. Mary’s past activities have included choir, both singing and playing the organ, and lector. "God has blessed us and we need to return those blessings by helping others," said Mary. Leonard has served on the church council, has performed Eucharistic minister duties and lector duties, and presently brings communion to the homebound. He is a member of the Eunice Players Theater and a member of the Manship Theater. Leonard is the former Vicar Coordinator for the Bishops Services Appeal and a member and advisor for Central Louisiana Community Foundation. Currently, he is active in Our Lady of the Oaks Retreat House recruiting, managing the Seminary Fund for K of C Council 1754, seeking support for the Rotary Foundation, and is a member of the Cabot Community Advisory Panel. Leonard is proud to have recently begun serving on the Evangeline Parish Foundation. “The Foundation itself will only give to the community," said Leonard. "This parish is in need of help and we have a diverse group of members that can cater to a diverse group of needs." Leonard is a retired CLECO employee while Mary is a retired science school teacher. They have been active members in both Catholic churches in Ville Platte and currently attend Sacred Heart Catholic Church. Community Foundation of Acadiana is a tax-exempt, donor-centric, entrepreneurial foundation whose core purpose is building legacies and improving communities by connecting generous people to the causes they care about. CFA is south Louisiana’s premier philanthropic organization benefiting our region, with a particular focus on the parishes of Acadia, Evangeline, Iberia, Lafayette, St. Landry, St. Mary, St. Martin and Vermilion. Learn more at www.cfacadiana.org.